Canada imposed tariffs on seven steel products including rebar, OCTG, HRC, PPGI, stainless steel wire and wire rod last year. It aimed to stop the redirected flow of these materials from the US after the imposition of Section 232 tariffs. However, the Canadian trade watchdog Canadian International Trade Tribunal (CITT) has recommended that the government should remove trade tariffs on all the steel products except steel plate and stainless steel wire. CITT has confirmed that the imported products other than steel plate and stainless steel wire, do not pose any injury risk to the domestic steel industry. CITT proposed quota based tariffs for the imported steel plate and stainless steel wire from all the countries exempting South Korea, Mexico and the others which have trade agreements with Canada. Canada imposed these tariffs on 25th October 2018 and now needs to finalise its decision based on the CITT recommendations before the expiry of tariffs by 12th May. Meanwhile, Canada collected more than $839 million from aluminium and steel tariffs up until March 2019. It aims to spend the amount to compensate those companies which are affected by the US tariffs. 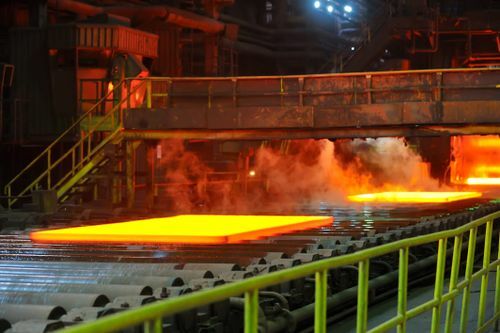 It announced $112 million funding for the domestic steel industry in the next three years, including $40 million for EVRAZ Canada as it was affected by the US tariffs. Canada is the net importer of steel. It imported around 10.4 million tonnes in 2018, which increased by 20% year-on-year. It also exported 6.5 million tonnes of steel in the same year, decreased by 2% year-on-year. The US held the major share in the country’s steel trade despite the tariffs during 2018. Canada is consistently urging the US to exempt its steel products from Section 232. The US is forcing both Canada and Mexico to move from NAFTA to USMCA, which will eventually lead to the end of 25% tariffs on aluminium and steel.